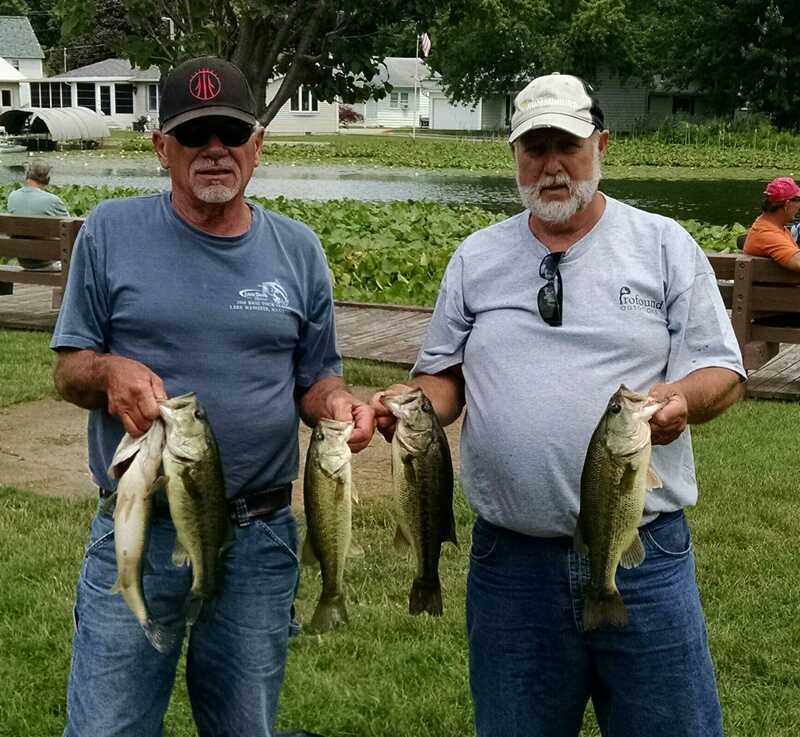 1st Place: Ray Smith and Jim Wheeler knew they were onto something special when they boated two 5 pound fish amongst the crazies July 3, “With the pleasure boats whizzing by us all day and to still catch the fish we did, we knew we had them dialed in,” Wheeler said. That became indisputable a week later after sacking a 12.78 pound limit, which included 15 total keepers, to take top honors and pocket $680 and a Rod Bender Baits certificate. Still the day began by testing their patience. “It took nearly 90 minutes before we finally got a fish in the boat,” recalled Wheeler, “but once we got that first bite, we got four really quick.” Over the next five hours they boated a keeper every 30 minutes, and none more important than a key cull during the waning minutes. “With less than 10 minutes left, we made a cull that helped us by a half pound,” an enthusiastic Wheeler shared before leaving Saturday. “We won by ¼ pound, so that fish won the tournament.” Remember that, anglers, next time you are tempted to leave early. 2nd Place: Some teams just have a knack for landing in the Top 5. One of those teams is Mark Farver and Steve Kline. Now with 14 Top 5 finishes in the R & B Bass Circuit’s history, they stand just one behind the leaders in that category. The $416 they got for their 12.51 pound limit has them towards the top of the All-Time Money Winners list as well. It is safe to say that Steve Kline has a spot. 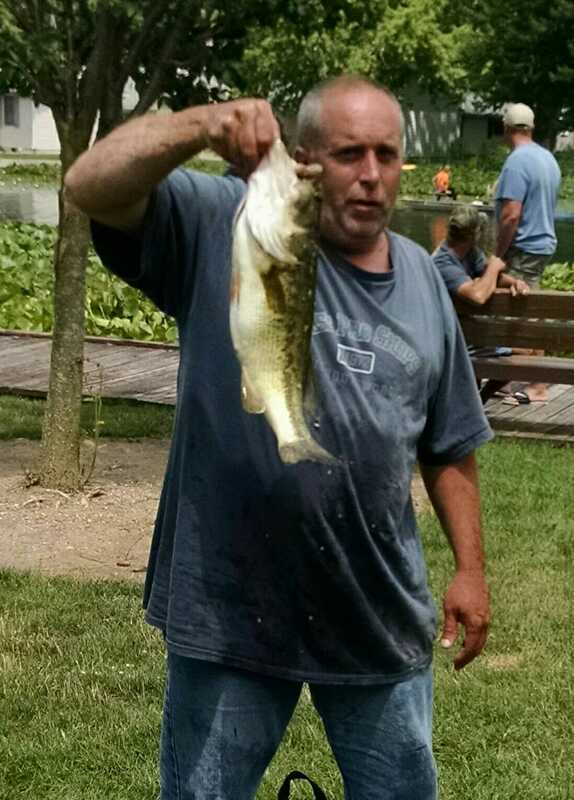 A few weeks ago he won a tournament with 18 pounds on Lake Wawasee off a single spot. Fast forward to the R & B tournament, that same place again produced several key fish. “Actually,” Kline admits, “we didn’t catch anything on it when we began there.” That lack of success forced the team to switch lakes where they caught two keepers before going back to it. “When we came back, we figured it out. The fish were just ‘pecking’ at the bait, and we thought they were bluegill. 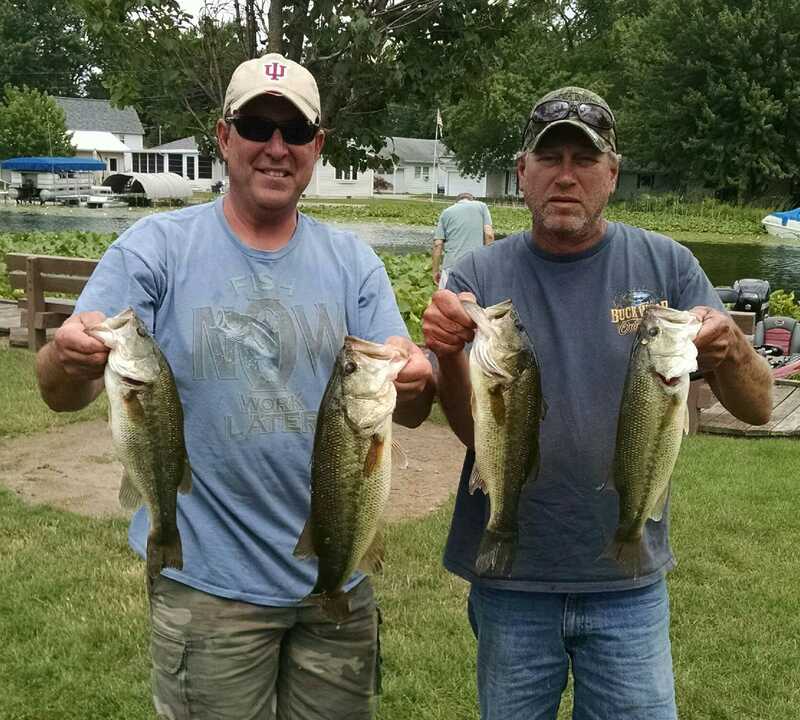 When we set that hook on it, we caught bass.” That spot yielded three more keepers, giving them their final limit. To add further credibility to the gem location, Farver and Kline won a tournament on Wawasee the very next day on the very same spot and presentation. The spot is “no larger than the size of a boat” and consists of weeds in “deeper” water. They alternated between ¼ and ¾ ounce homemade jigs in a green pumpkin color scheme with a Zoom chunk. 3rd Place: With their third Top 5 finish in the West Division (another in the East), brothers Kyle and Michael Kaser have claimed the top spot in the Standings. Their 11.67 pound bag of fish won them $265 and came in similar fashion to Farver and Kline. They began in a channel tossing topwater baits where they quickly bagged four keepers. When this channel dried up they ran to another channel, but failed to produce. This is when they targeted their own deep weedbed. Here they stuck their biggest, a 3.80 pound largemouth, on a drop shot rig. Amazingly, four days later during a Wednesday night tournament, the team blew the field away with 18 pounds caught off of the same weedbed and drop shot rig. 4th Place: Lake Wawasee guru Brian Whitaker (not pictured) has been spoiling the R & B party at Wawasee for years. Before this event he has placed in the Top 5 at the Open in March, 2015, and 2013. This time along with Don Whitaker brought 11.32 pounds to the scale to claim $189. Despite their long and rich history on the lake, they struggled to boat keepers. “We caught just six keepers from two different areas,” admitted Brian. “The fish were tucked in the weeds, or just on the outside edge.” After positioning their boat in 18 feet of water, their weapons of choice were a combination of jigs and spinnerbaits. 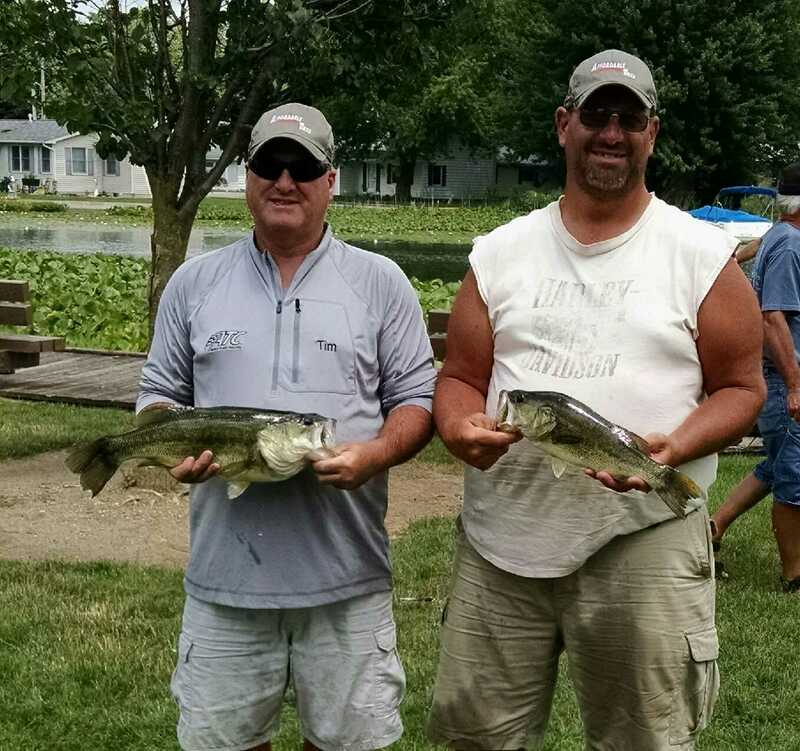 5th Place: The team of Kevin Rathke and Don Amari physically beat themselves up for a Top 5 finish, “We fished right in the teeth of the wind,” Rathke admitted. Their bodies felt the effect days later; however, the pain awarded them with a 10.88 pound limit and $132. 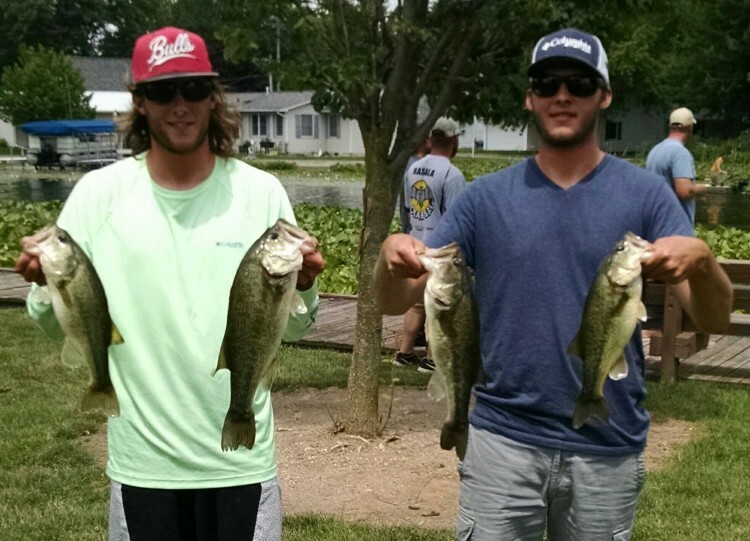 The duo had found fish in practice on Lake Wawasee, which just happened to be on the windiest side of the lake come tournament time. They coaxed the fish into biting by slinging a combination of Texas rigged soft plastics and boated seven keepers. However, with 90 minutes left they had had enough and finished up on Syracuse. Fortunately, they were able to make two additional culls there. 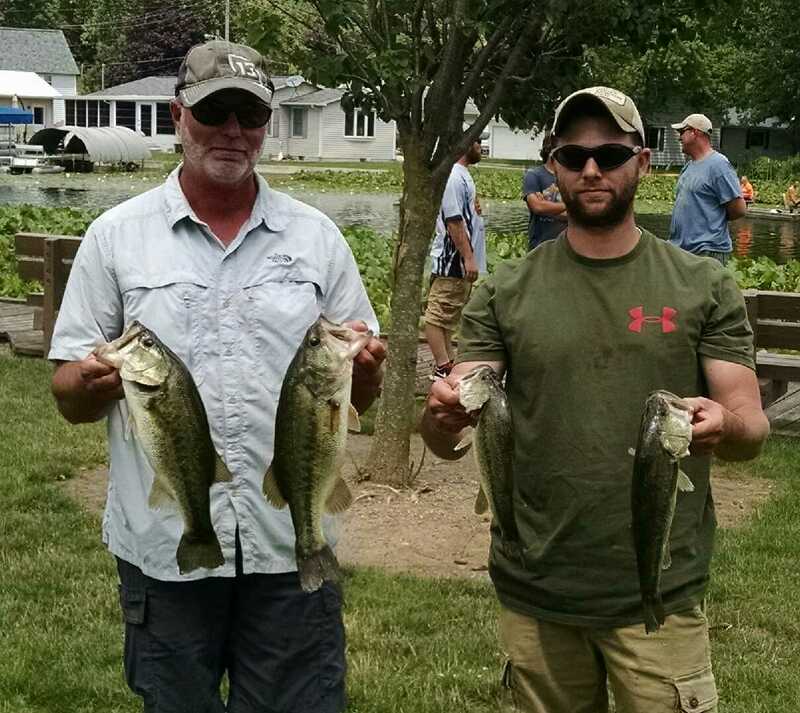 Big Bass Award: With just 10 minutes remaining, Tim Pugh and Dan Truex (right) boated a 4.64 pound beast off Syracuse Lake with a KVD square bill crankbait in 10 feet of water. The fish scored them $288. 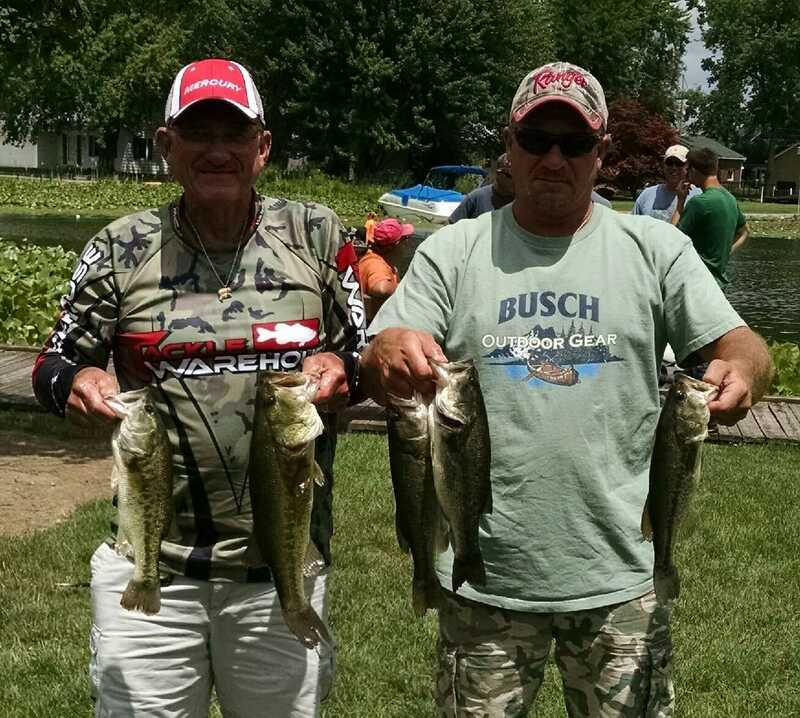 2nd Big Bass: Myron Hurford (left) and Ronald Trosper boated a 4.16 pound largemouth to win $72. 6th Place: Paul Hargens and Josh Leitch (left) brought a 10.41 pound bag of fish to the scales to win $113. 7th Place: After a 9.76 pound bag of fish, Jim Jenkins and Greg Kiser find themselves just outside the Top 5 in the Standings.​​ They won $72. 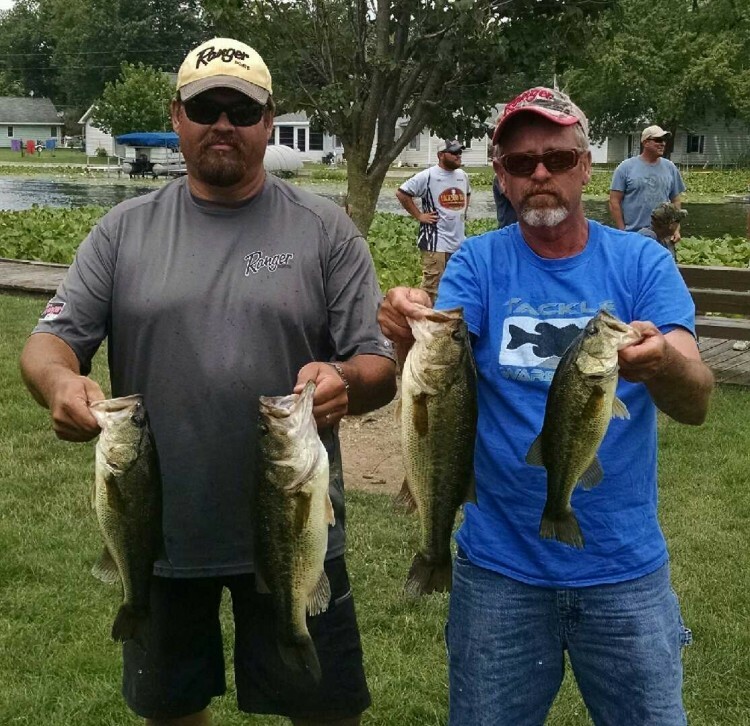 A bag of largemouth weighing 9.30 pounds by Larry Stanley and Dave Terry won them a tackle pack provided by Rocky Brook Sinkers. Rick Sawyer and Denny Cook brought 7.18 pounds of fish to the scale to win a $25 gift certificate redeemable at Schnelker Marine or online.